The Animation Grill is a regular event held in Cardiff, Wales that we first reported on earlier this year. The monthly gathering allows animators and other creatives the chance to share their work with like-minded people, give or receive critique and network. For any animation folk in the area, it's an event not to be missed. Following the success of the normal weekday event, the organizers have announced their first ever weekend event will take place this September, with the inaugural Animation Super Grill. In addition to the normal grill portion of the gathering, this time it will also feature presentations from a number of established talents from the industry. Giving presentations will be stop-motion animator Ben Halliwell, Double Negative's head of animation Stephen Enticott, freelance animator Jane E Davies and freelance animator and author Ben Mitchell. The guests will also be taking part in an industry roundtable discussion chaired by local animator and film-maker Dani Abram. 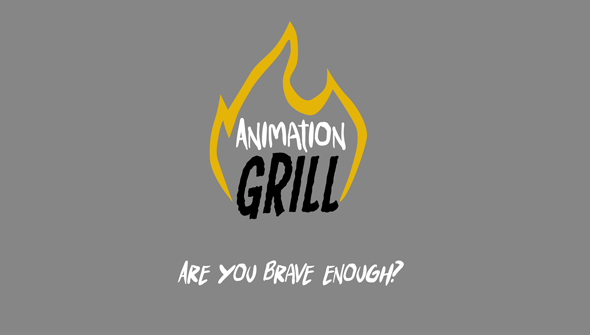 "It’s not often that you get the opportunity to learn from experienced animators and quiz them on their personal workflows and creative processes " Grill founder and organiser Gareth Cavanagh, said. "My intention with Super Grill, is to regularly gather together a bunch of funky animators from various disciplines and place them in a cool, creative environment with a bunch of their peers who are eager to learn from them." AFA is thoroughly behind any event like this that enables animation creatives to further their craft. We hope this runs and runs! 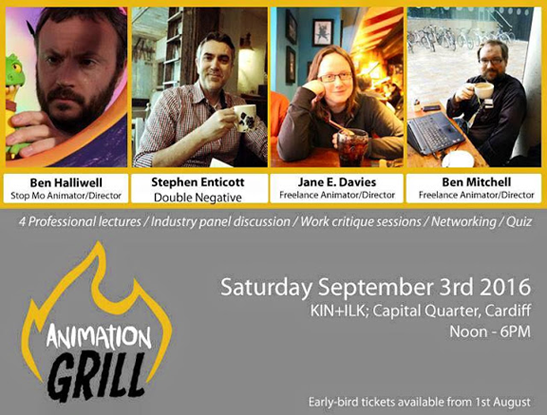 The Animation Super Grill will take place on Saturday September 3rd 2016 from noon to 6pm at Kin + Ilk, in Cardiff's Capital Quarter. Tickets are on sale now, with an Early-Bird discount for a limited time. More details here.